As part of the “Networked Urbanism” studio, I developed a relationship with a community in Dorchester that would drive my thesis research and a locally-initiated creative project after graduation. Dorchester is a large, historic, and often stigmatized neighborhood in Boston that exhibits diverse elements of urban living. In addition to generations of Irish- and Polish-Americans, it is home to large Vietnamese, Cape Verdean and Central- and African-American populations. Visually, it lacks the New England orderliness prevalent in Boston, and feels more like a chaotic, contemporary global city. My project sought to connect the diverse residents of this neighborhood with ongoing city planning efforts, and amplify their sense of agency over their physical surroundings. 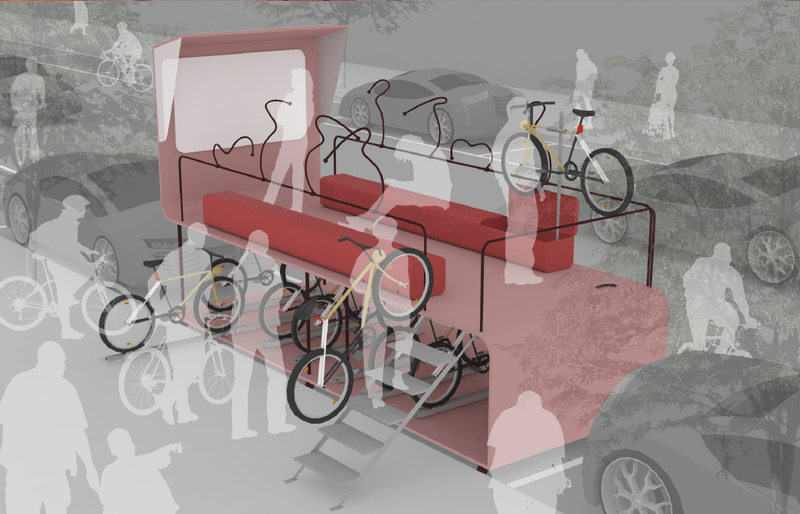 I worked on the concept of urban bike station for bikers. I began the project with the interest in bikes and the growing culture. When I first noticed that bikes are often locked on street signs and trees, I thought about the relationship of bicycles and urban space. The Hi Cars! 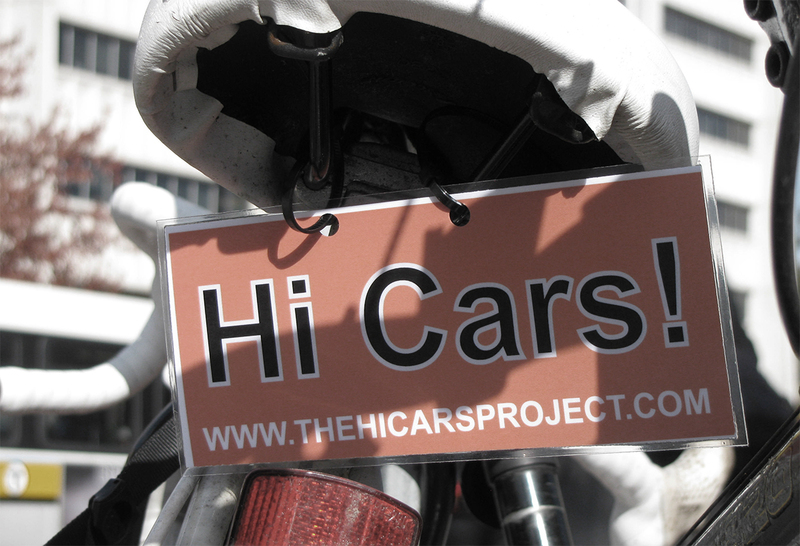 Project is an attempt to change the tenor of how cars and bikes interact on the streets of Boston-by focusing on the people in them. We know that saying hi won’t solve all of our problems with sharing the road and that we also have to work for better infrastructure, better enforcement, and better safety education for drivers and cyclists, but we also know there is something powerful in the attitude adjustment that comes with taking a more playful, conversational approach.